Dear Datuk Lean: Whereas old salts like us were bonded and bred under conditions of scarce resources and post war constraints, the new breed from ACS enjoyed facilities and opportunities that were unheard of and unthinkable in the old days. In spite of such differences we are nevertheless linked together by a common history and institutional memory of a rich and enabling past that had directly or indirectly moulded us to become what we are today. It is said that “a man without a sense of history knows less of the present and certainly little about the future”. We have progressed from counting on our fingers to the abacus, slide rule and electronic calculators and gathered much knowledge and good experiences along the way. Likewise as we develop into an organic body of like-minded individuals who attach umbilical values to our alma mater, it is my humble prayer that the meaningful seed we sow this Sunday in launching our ACS Alumni website will bring much happiness, a sense of belonging and cohesion to all ACS old salts regardless of their background and station in life. Yes, I am the old forester who sometimes gotten lost in the woods – and even missed the trees because of the woods!!! Dear Dato’ Chong: On behalf of the Alumni, I would like to thank you for your kind wishes on the eve of our Website launch. I was at the School’s Speech day on Thursday. At some point in time, if I may, I would like to share with you my take. Today, 40 to 50 years after our time, our alma mater remains largely populated by students from humble, even financially poor, family background. Government funding extends very little beyond accounting for staff salaries and utilities. The challenge is to motivate the students, inculcate in them a love for the alma mater and inspire them to perpetuate the Alumni Association. Without this taking effect, it would be a matter of time before our rich legacy eclipses completely into oblivion. Dear Datuk Lean: Based on your astute observation I am delighted to learn that the ACS continues to cater to students from diverse socio-economic background and abilities. If there were ways in which the burden of the less fortunate could be reduced or shared, perhaps we could contribute individually or collectively. Most NGO’s organise subscription dinners to fund their activities and programmes. On this score we have need of individuals like your-self who have the passion and vision to energise and take our collective endeavours to a higher level by complementing and supplementing the limited student support services that our school could provide. Dear Dato’ Chong: I would like to share with you that I took the liberty to have your kind message of felicitations read out at our Website Launch last Sunday. It was a very meaningful message. We also had Mr. Vincent Daniel, the composer of our school song and his wife, Mercy, with us. They came all the way from Banting, an hour and a half car journey away, to join us. Mr. Daniel sang our school song. It was very poignant to hear him sing for us with so much gusto and passion, some 65 years after he composed the song for the delayed Golden Jubilee Celebrations of our alma mater in 1947. A group of old salts (Form 6 in 1958 and 59) came forward to ask me whether Chong PW is Chong Peng Wah. They included Robert Low (Low Chooi Beng’s son), Kenny Ong Kian Beng, etc, who are classmates of Chin San Sooi. You are well remembered by these boys who acknowledged that they were several years your junior. You obviously left your mark on them. General (Retired) Lai Chung Wah, class of 1951, and Chai Hon Chan were with us too. I wonder whether you have any recollections of them. Dear Datuk Lean: Among the many points of happiness we shared as students in ACS Ipoh, apart from studies and extra-curricular activities, was our camaraderie. Consequently, I am pleased, but not surprised, to know that some of our school mates could still remember one another after more than fifty-five years. Through the melange of after school activities, fellowships and participatory programmes there may be moments of intense and even intrusive social interactions that left indelible impressions in our formative minds. For example, as scouts we camped beside the Kampong Simee River and flooded out at night. We shivered through the night and survived on fried noodles bought the next morning. We were undergoing the “Master Cook” badge test!!! That lesson brought us closer together. Now in my mid-seventies I am very much aware of the arithmetical game of subtraction. At each re-union our 1956 group becomes more compact as some of us have crossed over. A venerable institution is like a rich and never ending tapestry. Missing and less defined patches should be restored where possible – that’s where our individual and collective memories can play a useful part. With this in mind allow me to share some of my recollections with you. The evergreen Master Chai Hon Chan was our Latin teacher in 1955 Form V. We attended Adelaide University in 1957-59. After graduating in 1959 in basic science I went to Canberra to complete my professional course. We met several times in KL at informal dinners organized by Prof Dato’ Dr Lam Sai Kit. Our 1956 schoolmates like Too Wan Jin, Tara Singh, Liew Wing Hing, Wan Sai Pun, Yee Seng, Pooi Kong, Dr Lee Thong Teck, Ee Teck, etc, were present. If I am not mistaken, the “Robert Low” you mentioned is Beng Hock. He comes from a distinguished family of scholars and educators. His father was a slight built man with a quiet dignity who sometimes walked the corridors with much preoccupation in his mind. Like a good concubine – much loved but seldom seen – a humble and low profile individual. His contribution to the School must be truly substantive. Chooi Beng’s eldest daughter, Beng See, was my university mate in Adelaide. A brilliant scholar with the gift of gab, she led the winning ACGS debating team which put us out of business. I was the supporting speaker in the ACS team. The ignominy of that defeat was so great that even now I could remember her opening speech. “L & G, The atom has been smashed so must the notion that women are inferior must also be smashed…….” On reflection our teachers could have chosen a less gender sensitive topic for debate. 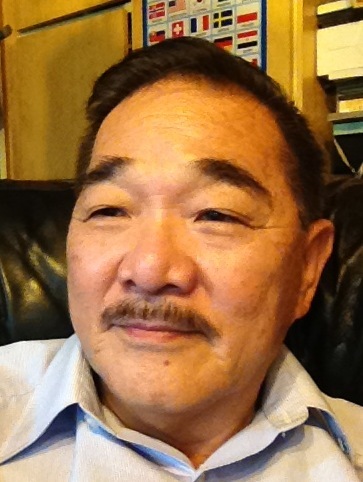 Robert’s second sister, Low Beng Poh, was in Form Six Lower Arts in 1956. We interacted briefly. Incidentally, Robert took up forestry and for a time we were colleagues!! When I consider how many times we have touched bases together – it’s almost karmic!! On a less nostalgic note we will attend the Alumni Reunion Dinner in August and will try to get the Class of 1955 Form V/1956 Form VI Lower to participate. May you and your Committee members have a successful year in office. 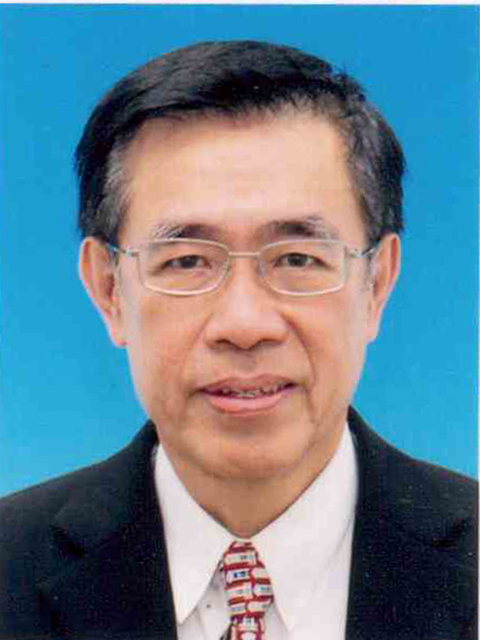 Dato’ Chong Peng Wah (BCK Kedah – 1967; DPMP Perak – 1975), a 1957 Colombo Plan Scholar, was awarded the BSc (Forestry) degree by Adelaide University in 1961. He joined the Forestry Department in 1962 and enjoyed a distinguished career there – State Directory of Forestry in several states (Perak included) and was the ADG Federal HQ prior to retirement in 1984. After a short stint in the private sector, he was employed by the United Nations. From 1987-1990 he was Consultant with its Food and Agricultural Organization (FAO); thereafter, was appointed CTA in Myanmar (1990-94) and then Team leader of a joint Bhutan/World Bank/Swiss forestry project in Bhutan (1994-97). He left as a United Nations Expert in 1998. Now semi-retired, he looks after the family business. Married to Datin Molly Ooi Lay Kuan, they have 4 children who are successfully practising medicine and in other professions. Datuk Lean is President of the Ipoh ACS Alumni Association. You can access his bio-data here.